NIX Solutions calls together all Kharkov’s Java-developers for the second ThinkJava conference! At the meeting we will talk about new technologies and methodologies, opportunities of Java and magic of NoSQL, debugging Java-based applications with JDK tools and connecting to the JVM “on the fly”, and much more. Technologies advance in quantum leaps, and the list of new technologies and methodologies is constantly growing. Knowledge stays relevant for a long period of time even without being constantly updated. However, sometimes well-established technologies are replaced with the new ones in the split second. Sometimes sudden leaps in development endanger entrenched technologies. In the world of bloody Java Enterprise we rarely change something or change ourselves. We became accustomed to living in the world of relational databases, where everything is determined and clear. But life does not stand still and customers increasingly use popular terms, such as NoSQL Datasource in their requirements. Or project’s requirements may include such amount of data, which hardly fits into a matrix of relational databases. So what shall we do if we come across magic NoSQL spell? The key is to stay calm and carefully study the opportunities Java offers us :). And, of course, to listen to the report titled “No Mongo, No Honey and NoSQL”! In this report we will explore the features of a document-oriented NoSQL database – MongoDB, which makes noise in the world today. But how do we, Java-developers restructure your relational way? First of all, you need basic concepts to understand what’s going on when you want to see the table in MongoDB and get a document. After that you can proceed to the demands and building data model. But even here we won’t be alone: almighty libraries and frameworks will help us. We will also demonstrate how MongoDB is applied on a real application with GMongo library on the Java part, so there will be a bit of MongoDB, Java and Groovy :). 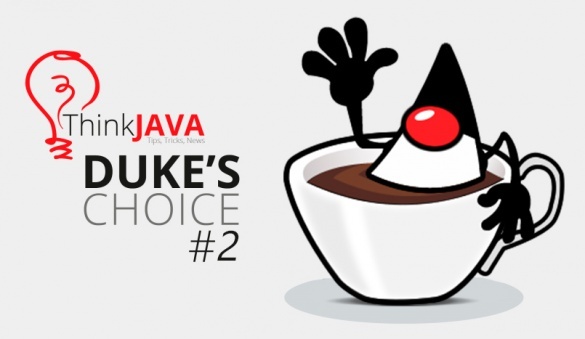 ThinkJava#2 conference will take place at 19:00 on Friday, the 5th of June, in the conference hall of “Metallist” SC.